Many midsize companies struggle with being able to bring on the technology skills to allow them to compete with larger enterprises. When you’re looking at applications like mobile or analytics or commerce, midsize companies require solutions that can provide end-to-end capabilities rather than having to buy and implement all the hardware and applications themselves. S2K Enterprise in the cloud offers these companies the advanced technology they require to improve efficiencies, reduce costs, and grow—all in one easy-to-deploy-and-support environment. With built-in analytics and intelligence, S2K Enterprise ERP cloud-based solutions provide companies with the ability to confidently make smarter decisions that better address real-time business imperatives. As an IBM and VAI reseller, Vector New England can offer these to you. VAI’s S2K Enterprise software provides complete integration with PC Desktop productivity products such as Microsoft Outlook, Excel, and Word. At the touch of a key, users can move data into Excel spreadsheets, send emails to contacts, create customer letters in Word, and schedule appointments into their Outlook calendar. In addition, options like View and Excel allow users to create PDF or Excel files for many of the standard reports. This integration provides users with the flexibility to utilize desktop applications while taking advantage of the power, reliability, and security of the S2K Enterprise software. The VAI S2K Enterprise Work Flow Alert’s feature supplies today’s management with the tools required for successful business making decisions by providing automated, timely information and support via email and mobile devices. Alerts can be entered to specify tolerance levels and multiple users can be notified of the same event. Maintaining a successful operation relies on the timely communication between management and operations. The VAI S2K Enterprise Work Flow Alerts provide the communication links necessary for effective enterprise wide communications. S2K Smart Center delivers critical KPIs (Key Performance Indicators) to allow users to easily keep track of business issues and goals. 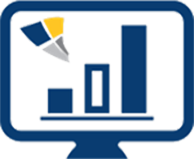 S2K Enterprise provides high-level KPIs that focus on the overall performance of the enterprise and low-level KPIs that focus on processes in departments such as sales, inventory, and accounting. Today, people are finding information, making purchases, and interacting with brands like never before. Having a dynamic web presence for your business is expected, and as more customers migrate from their computers to mobile devices, mobile applications are becoming extremely important. 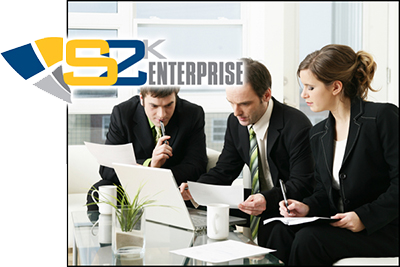 S2K Enterprise Portal and S2K Mobile solutions allow your customers and employees to interact with your business in new ways. Allowing your customers to interact with your products through the web or a mobile app can make you stand out from your competitors. Detailed information and photos about your products will be at your customers’ fingertips, engaging them and spurring them to take action. Customers using these applications have seen a dramatic increase in customer satisfaction and in sales. 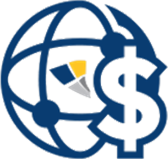 VAI S2K Enterprise provides one of the most advanced purchasing programs available today. This dynamic application presents myriad tools to help minimize the burdensome tasks associated with manual purchasing by automating your demand planning, purchasing, and ordering process to optimize buying power across different product lines and multiple warehouses. Powerful formulas analyze historical and forecasted usage for each item, seasonal trends, market demand, and vendor lead times to provide suggested purchase orders for each vendor. These advanced purchasing tools maximize your buyers’ efficiency, enabling them to spend more time on profit-oriented tasks such as reducing dead stock inventory, increasing customer fill rates, negotiating pricing with suppliers, and reviewing product mix. 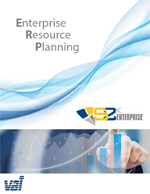 Customers using S2K Enterprise have reduced their inventory by 25% or more while increasing customer fill rates. S2K’s browser-based software provides mobile access, enabling every user in the organization immediate computing anytime, anywhere, on any device. By delivering software through a browser with a flexible web interface, we can now provide the user with a single sign on for all web applications which will simplify the user experience, increase productivity, and minimize training costs. Businesses leveraging this technology have significantly enhanced the level of service and support they provide to customers. The VAI S2K Enterprise job scheduler provides users with the ability to process reports and other events at specified times and intervals throughout the course of their business cycles. 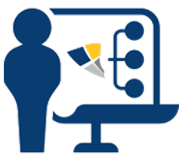 The system administrator can schedule jobs/reports to run daily, weekly, or monthly at specified times and days. Entering various parameters enables jobs to be scheduled to run repeatedly during a day and prior or after the End-Of-Day and End-Of-Month processing. 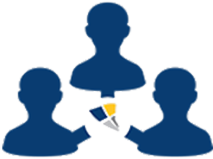 Scheduled reports can be printed or emailed to specific users or groups. We look forward to demonstrating what this application can do for you. Contact us to learn more about it.